I spent the last couple months writing a cross platform python script that renders non-3D blender projects 2X faster, and gives us access to additional FFmpeg features. I consider this a work in progress. Thanks for your support. 1) Perform non-3D renders in HALF the time on multi-core CPUs. – Node Based effects using the following node groups: Distort, Matte, Map, Vector, Filter, Converter, and Color. 2) Create high quality animated GIFs. I noticed that that the Windows 10 (Creators Update) changed the fonts in cmd.exe. I would recommend that you alter the cmd.exe defaults by opening cmd.exe, right clicking on the Title Bar and clicking on “Defaults”. I switched it to Font size 16, Font: Source Code Pro in the Font Tab. The banner is much easier to read with those settings. i have too say i am worried it might be a Virus.. Too good to be true! I will tell my story Downloading now! anyone ever tell you that you almost look like Ryan Reynolds…? I use laptop for rendering, so it sounds like music! Thank You!, For the time and work you have put into your blender video. Fantastic work. Thanks for everything you do. Your tutorials are great! Thank you for your work. Hi Mikey – appreciate your excellent tutorials and followed them all. I’ve run into an issue when trying to render for test finish product and Blender keeps coming up with ‘could not open file for writing’. Ive scoured the net and blender forums and it seems to be a permission or output issue but trying all the fixes hasnt worked. Any help would be appreciated. Keep up the good work! Cheers. Thanks a lot for this. I use it when I have rendered all by PNG files, or to combining jpg files from timelaps. I have changed the windows path to blender and ffmpeg (i do not use the standard paths on my system.) and reduced the starting time from 15s to 0s. And it works great. I do not get the exact same file when using blend and video_editors_render_script_v1.py to combine PNG images created by blender, but I cannot see the difference in the videos. 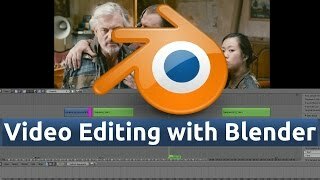 I suspect that Blender will add this ideer at some point in time thus your script might be short lived, but for now it will quickly save many people the time you spend creating the script. Thanks for putting in the time, you earned many subscribers for this. I will take a look at you back catalog. what version of blender do i need to follow along? fantabulous! have you done the follow up video yet? I cant get my title screens (scene overlays) to render with the script. What is wrong? Or is it supposed to do that? NameError: name ‘blender_file_format’ is not defined"
Thanks again Mikeycal. I bought the 1700 and rendering video on blender was wasting 15 threads. This cuts the render time by ~ 40 minutes on a 4k hevc 2 minute file from my camera. Thanks! My rendered video is all black,how can I fix this? Every time the script finishes rendering the clip, it tells me twice that the system cannot find the path specified after 3 lines of blender quit. So, it doesn’t actually output any files. I’m very confused. An entire blender project as a GIF?!?!?! What!!! AWESOME! This is awsome but my computer already uses all the cores. In the Render settings there is a "Performance" set of options – one of these is a setting for Threads which you can have set to Auto or Fixed (in fixed you can specify the number of threads yourself). Mine is set to Auto and thereby sets it to 8 threads ( I have an i7 cpu which has four physical cores but 8 virtual ones so it is set correctly). Does your script still improve rendering times even when I have the threads setting to it’s maximum value for my system? Wow. Just Wow. I went from a 9m30s render too about 2 min on my r7 1800x @4Ghz! That is a 78.94% DECREASE IN TIME!! Wow. Just wow. This is simply awesome I have a r7 1700x and I am getting am able to render 1080p60 at faster than real time so I would say that this is way more than a 2x as fast depending on the system. Love the idea. About to test it out. Quick question suggestion. Is it not possible to for the script after running it the first time to ask the user the file name of their blend file and put that into a variable to use so one doesn’t have to save a new blend file to 1.blend, just for user friendliness? Thanks for you effort in all the tutorials, I’m just starting out with video editing and this is looking to be pretty good. Thank you Mikeycal Meyers! awesome script, and great documentation on github! I followed the instructions and work a treat. A piece of multicam video with about 10000 frames, took 37min without script, with the script took 17min! Hey Mikeycal, your Blender series for video editing was a great help to me for many months. I used Isti115’s script (well, a fork of it by RedRaptor93 with tons of improvements) for that time. Using multiple threads like this is absolutely the way to go if you’re sticking with Blender. The speedup is insane. I hope that Blender will make their VSE render multi-threaded soon. There seem to be consequences with this workaround (not just yours, but the whole idea of rendering in parts and stitching it back together). I get audio glitches at almost every seam – this is because blender’s timing is only as precise as the framerate you set. If you cut an audio file into two pieces at 30 fps, the join won’t be seamless. Depending on your audio, you may not hear the problem, but it’s there. The fix is to render a mixdown in Blender, then use ffmpeg to replace the audio with the mixdown. I also had to use Audacity for even the simplest of audio edits (hard limiting, normalization, noise reduction, etc) that aught to be built in to a video editor. Then I discovered the blender video rendering wasn’t particularly good, and started using Handbrake (as per your tutorial on that). The overhead began to really pile up. I’ve switched to Premiere Pro. I don’t like the idea of subscription based software, but the workflow is so much more improved that it’s cut the time required for video editing + rendering in half. I still prefer Handbrake’s "constant quality" rendering system, but Premiere Pro works OK with 2-pass encoding and VBR. I don’t know if I’ll stick with Premiere Pro in the long term, and would consider switching back to blender if all of these issues are fixed. It’s certainly promising software. In any case, thanks a ton for your series. It really helped get the most out of Blender, and I definitely recommend it for many jobs where people just don’t want to pay the Adobe/Apple tax. Thanks so much for all your video editing tutorials, they have been a great help to me. I get it work (probably). At the moment I just can’t "get auto_overwrite_files = False" works. It still overwriting existing file without any asking. Tested on iMac OS X 10.11.6 Blender 2.78c official and script version for 2.79 from today build boot. Anyway would be faster for me if script can increase version number instead of asking.Thanks for help. wow das ist so kuhl, freu mich darauf es auszuprobieren. Hi, Mikeycal! Thanks for the script and your tutorials in general! Thanks for the great videos! I’ve certainly learned a lot – I just ran your script and I get an error message in the command line (Windows 10) "There was an error compressing your audio. Please change your render settings." I’ve tried MP3 and AAC codec’s so far… Thoughts? It is creating the Full_Audio.wav file in the Script_Working_Folder however. Thanks a lot for the script, there’s an insane rendering time drop. But personally I have a problems: script fails to merge segments into one video file & the common error it outputs regarding audio is "there was a problem compressing your audio" . Hopefully someone will be able to help me. Best regards & thanks once again :). Thank you Mikeycal, It took me a while, but I finally got your script to work and It’s so great to see all the cores processing. I also, as many others, have greatly appreciated and benefited from your blender tutorials and the time that you have taken in making them. You are a genius !!!! thanks. I got a youtube channel and edit my videos in blender, but the rendering time was terrifying long …. now in my first test of this addon, it took almost a quarter of time compared to the normal blender rendering (25 seconds vs 90 seconds). Is there a way to control how many processes will work, or is it always using the CPU thread count? Anyway… I’m still waiting for an opensource GPU-based video editor that’ll deliver the performance. I used the script to render a video with a 1:20 duration and It rendered it in 49 secs. AMAZING! ( without the script the time was 2:18). Thanks Mikeycal for your generosity. I’m using Windows 10, I have the Blender.exe (2.79) and ffmpeg.exe (3.3.3 or 3.4) folders all set up according to the instructions. When I execute the Python script, everything works up until the very end where I get a "no such directory" message and the concacted final video, its source videos, and the audio clip the script creates all disappear from my computer. It’s weird because this script used to work perfectly fine for me, and it still makes my CPU load 100% and it still says it rendered the project in blah hours and some minutes. can you an up to date video on this.. since i’ve noticed by clicking on your links to this video things have changed. I’m a simple man with a simple intellect of intelligence. 😂 And thanks for making this script i just hope Blender would add something down the line. There must be reason why you had to do it this way.. I’m pretty sure you tried to make a script that blender did both video and audio and render fast. but I guess it was impossible to do so that’s why you have to separate them. very nice piece of code. Mikey, do you have an idea of what this might be? I am on Ubuntu 16.04 and having problems with latest Blender, so picked up an older version. The script works fine on another computer, but on this machine I get this strange error.